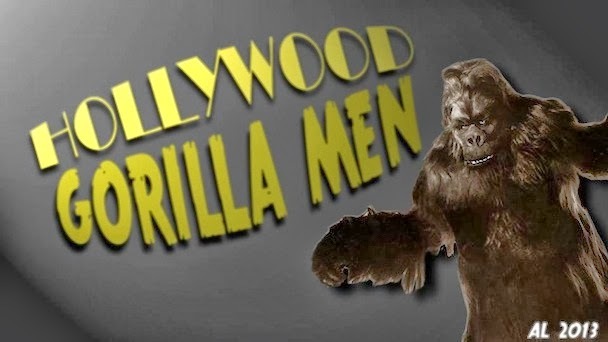 Hollywood Gorilla Men: Terror at the Circus ! 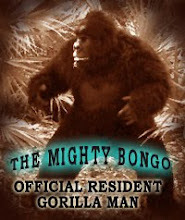 One type of gorilla performer that's particularly near and dear to old Bongo's heart , is the live show performer. These are the fellows that thrill live audiences in circuses, night clubs, stage acts,theme parks, and burlesque shows all over the world. Most of these poor guys received no recognition for their efforts, tho there is the rare exception who parlays their act into a higher profile gig like movies or TV. Emil VanHorn is a good example of the latter, who actually returned to his burlesque exploits at the end of his career. 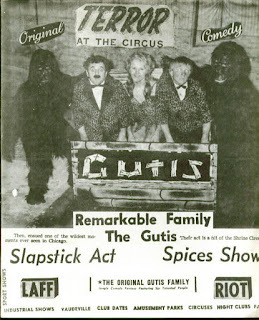 The poster you see here is for a Chicago based family who toured with the Shrine Circus. The poster promises one of the wildest moments EVER seen in Chicago ! As seen, the act seems to consist of a bargain basement version of Laurel and Hardy, with an Ellie May looking Jungle Girl thrown in for eye candy. 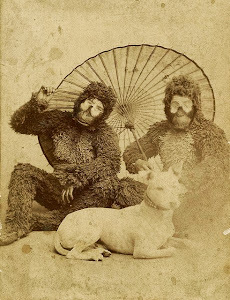 The two gorillas featured, are actually quite well done as circus gorillas go. Both suits are a good deal more realistic than many of their peers. This wonderful poster art was brought to our attention by the great George "E-Gore" Chastain, who's tireless search for historic coolness fills us with awe and admiration ! 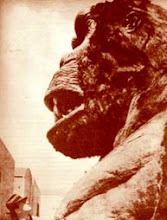 Great post, got a higher-res scan, by chance?